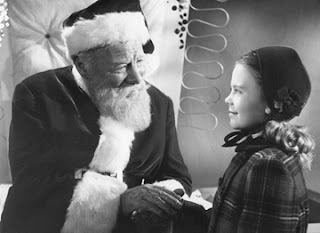 25 Reviews of Christmas #22 - I share a story of Christmas past while reviewing "Miracle on 34th Street"
We’re entering the home stretch of The 25 Reviews of Christmas, and I’ve saved some of the best for last! “Miracle on 34th Street” is a classic for good reason, not only one of my favorite Christmas films, but also a wonderful reminder of the simple powers of a bygone era of cinema. Remember to visit this page at any time for a collection of all 25 Reviews of Christmas articles. “Miracle on 34th Street” is one the most heartwarming, enjoyable films ever made. But chances are you already know that. Why go into an extensive critical analysis? I’d rather share a story about one of my most treasured Christmas memories, one that revolves around this classic film. But to bring those of you just out of the womb up to speed: “Miracle on 34th Street” follows single mother Doris Walker (Maureen O-Hara), the event director for Macy’s. While organizing the Macy’s Day Thanksgiving Parade, the actor chosen to play Santa Claus gets drunk, and a nice old man (Edmund Gwenn) steps in to do the job. He is instantly hailed as the best Santa in the parade’s history, and is immediately hired to reprise his role at Macy’s; unable to let children down, the man begins to tell customers where they can go to buy gifts that Macy’s doesn’t have, and though his policy angers some at first and nearly lands Doris in some hot water, his honesty soon makes Macy’s the most popular store in town. There’s just one problem: this man truly believes that he is Kris Kringle, the real life Santa Claus, and when others become resentful of the man, they use this knowledge to commit him to a mental institution. 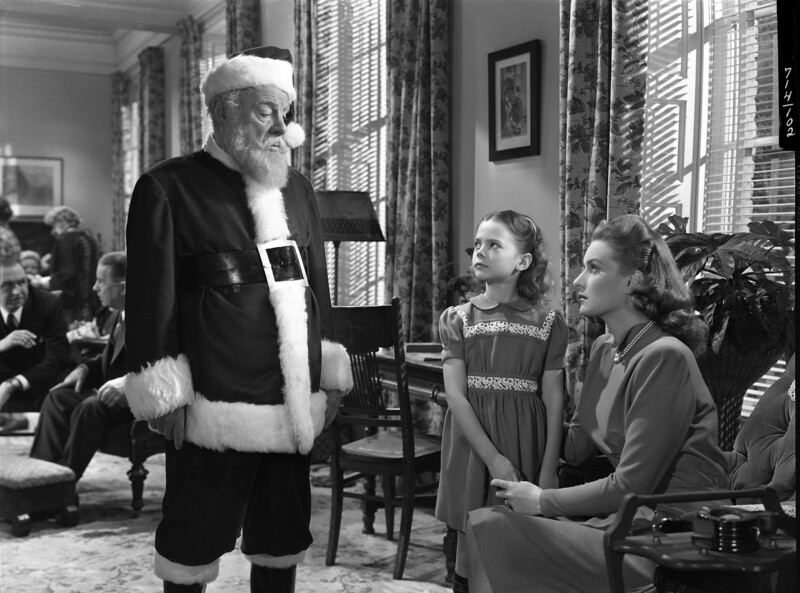 Meanwhile, Kris befriends Doris and her daughter, Susan (a very young Natalie Wood); Doris has taught her daughter not to believe in…well, anything, especially Santa Claus, and the film’s heart and soul comes from Kris trying to make Natalie believe. That theme is what resonates most strongly throughout “Miracle on 34th Street.” I will never forget the first time I saw the film. It was in our family room, years ago on our old full-screen tube TV, just a few yards away from the desk where I’m writing this review. The night was cold and snowy, we had a fire roaring next to the television, and it was just my Mom and I watching this old Christmas classic together. At the time, I was still very young, in elementary school, and I still believed in Santa Claus. But I had started to have my doubts. One reaches an age when other kids have stopped believing, and you start having arguments in the school-yard about whether or not there really is a Santa. If I remember correctly, my mother chose this film for us to watch because I had been quizzing her a lot that year about Santa’s existence. I wanted to believe, but could I? And then I saw “Miracle on 34th Street,” and was exposed to Edmund Gwenn’s iconic portrayal of Kris Kringle, the old man who may or may not be Santa Claus. Gwenn is, simply put, the greatest screen Santa of all time. He captures the spirit of the jolly fat man in a way no other actor before or after ever has, perhaps because he gives Kris such a warm, human edge. This isn’t the mythical Santa of legend; this is Santa as a man, a person we would all like to know, even to have as a kindly next-door neighbor to brighten our lives each and every day. Indeed, Gwenn’s performance has been brightening people’s holidays for over sixty years now, an annual miracle that is sure to continue for decades to come. He sure brightened my Christmas that year. As soon as he appeared, many of my doubts about Santa were immediately erased. In the back of my mind I knew this was a fictional portrayal, but still…if a version of Santa this complete and loving could exist, then there had to be a real Santa, right? Our conversation continued, but that’s the important part. In her own gentle way, that’s the night my Mom told me there wasn’t really a fat man in a red suit who lived at the North Pole and flew around the planet delivering presents. But she never told me there wasn’t a Santa Claus, and she was using “Miracle on 34th Street” as a teaching tool to explain that even if Santa isn’t a living, breathing person, that doesn’t make him any less real. If Kris embodies everything Santa stands for and we believe in him, then we believe in Santa. That doesn’t mean we think there’s a man flying through the sky in a magical sleigh every Christmas Eve, but we still believe in the idea of Santa, the spirit of generosity, selflessness, kindness, and goodwill that visits us all during the Christmas season. 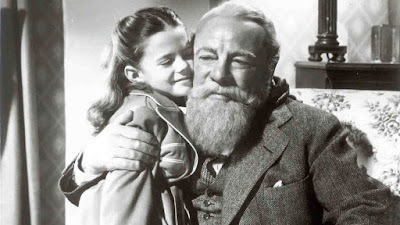 That’s the message of “Miracle on 34th Street,” and using the film to explain the truth about Santa is probably the kindest way a Mother has ever broken such earth-shattering news to her child. What I realized that night was that all those years my Mother reassured me that she honestly believed in Santa, she never once lied. I just hadn’t realized the full meaning of her words. That night, I learned, and rather than coming away from the experience feeling sad as most kids do when they discover there’s no literal Santa Claus, I felt fulfilled. Santa seemed more palpable than ever before. It’s why I too have always said that I believe in Santa. I may be nineteen, but I really do mean it.